WORCESTER, Mass. 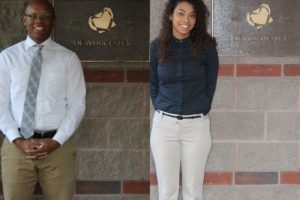 – Nativity School of Worcester, the City’s only tuition-free private school, announced today it has surpassed its $10.5 million goal of its comprehensive campaign, after 6 years of fundraising efforts. 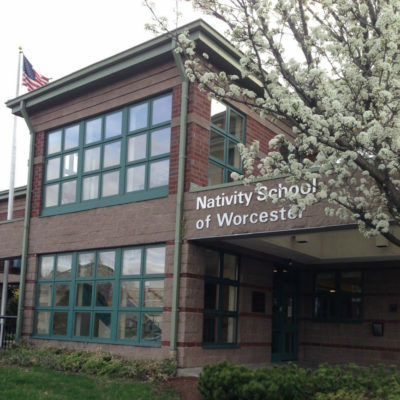 The school plans to continue “It’s OK to Be Good Here”, the campaign for Nativity School of Worcester through June 30, 2019, and build on the momentum that has been generated by a widespread group of donors committed to supporting the Nativity Worcester educational mission. More than 500 individuals, corporations, and charitable foundations have given to the school’s efforts toward creating a more financially stable future. 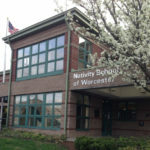 The Campaign for Nativity School of Worcester is the school’s first-ever capital campaign, which was publicly launched in October 2013. Campaign funds are being used to retire the long-term debt that the institution had on its school building and a residence that houses some of the teachers, fund capital projects in both of those properties, and establish an endowment for the school, all while still raising the funding needed to operate the school on an annual basis. In addition to a dedicated advancement staff, Maloney also credited dedicated volunteers and trustees, including capital campaign co-chairs Charles Weiss, Ph.D. and Michael Tsotsis, along with Board of Trustees Chair, J. Christopher Collins, for their guidance and leadership. And yet, despite the campaign’s success, its co-chairs remain adamant that much more needs to be done. Mr. Collins made the campaign announcement at the school’s 14th Annual Spring Auction Night. 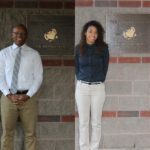 This annual event raises money needed for the programming and operations of the school, and honors several individuals and corporations for their dedication to the school and its students, graduates, and families. This year’s honorees included: Joe and Nancy Flaherty, George W. Tetler, III, the Greater Worcester Community Foundation, and Guillermo Creamer ’08. 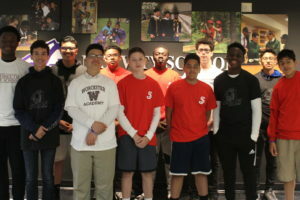 Nativity School of Worcester is an accredited, independent, Jesuit middle school (grades 5-8) that provides a quality, all-scholarship education to underserved boys of all faiths. Drawing upon four pillars – strength, scholarship, character, and service – a Nativity education inspires self-discovery, responsibility, spiritual growth, and a lifelong dedication to learning. The school is solely funded by the support of corporations, foundations and individuals.